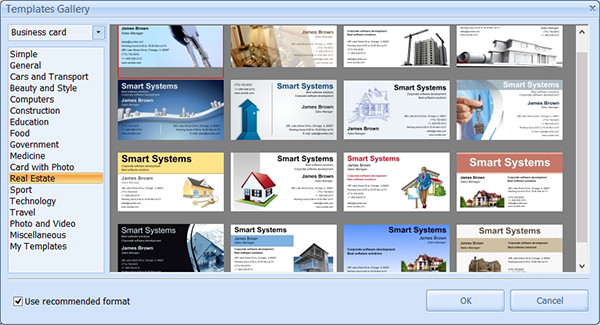 – Create and save business cards without limitations. 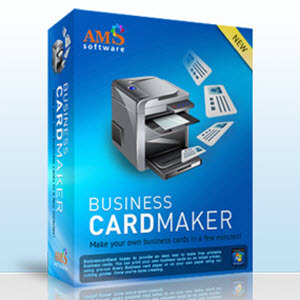 – Print any number of high quality cards conveniently. – FREE top priority technical support and consultation. – FREE program updates and new template sets. Business Card Maker solves all of your needs when it comes to business cards and badges. Over 150 professional templates can help you make a business card in 5 minutes, without having to hire a designer. Simply select a template you like, add your name and contact information and print it out on paper. If you are a creative type, the program can help you design your own business card from scratch. Used to be that you had to go to a professional designer and pay for creating a business card. Now things have become easier. With Business Card Maker in place, you can save money you used to spend on a designer and create a business card that makes you look professional in the eyes of partners and clients. For this, this $29 app comes packed with more than 150 business card designs created by a skilled designer. All you have to do is pick a template, add your photo and contact information, and then print your finished project on printer. Visiting cards with information about an employee and the company. Contact cards for entrepreneurs – perfect for freelancers, sole lawyers, psychologists, estate agents, etc. Company cards with corporate style design. Such cards can be great promotional material. Badges with a minimum of information in easy-to-read large print. It is possible to add a photo. 150+ professionally designed themed templates for different types of business. Make cards from scratch with dozens of layouts and color schemes. Create perfect background: solid, gradient, textured, or with an image. 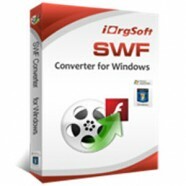 Add pictures, photos, and logos in various image formats. Align design elements easily with “snap to grid” feature. Create and save customized templates from any designer template. Store contact data of companies, employees, and entrepreneurs. Apply stored data to any card template. Quick search of entries in the database. Support for a large number of contact data fields. Print on different paper sizes. Support of 600 dpi print resolution and 1200 dpi resolution for export. Save on printing costs thanks to smart print layout. Export print layouts to image files with no quality loss. Use bleed to make sure the cards look perfect after trimming. Print a trial sample, with one card on a page. Over a hundred images and clipart for different business areas. A wide range of beautiful backrounds. 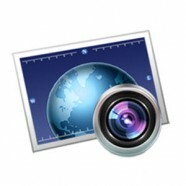 Import your own images to the program galleries.